Gotta love their sunshiny faces! 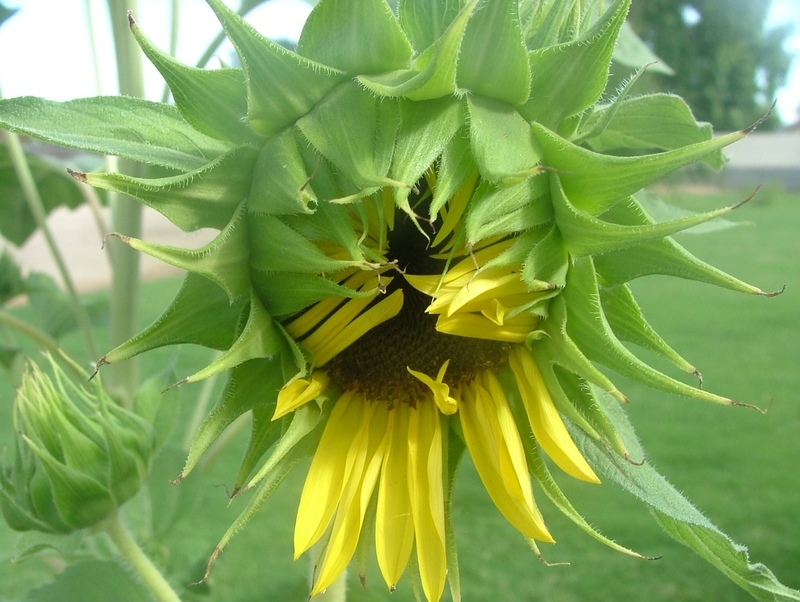 Brand new sunflower bloom opening! 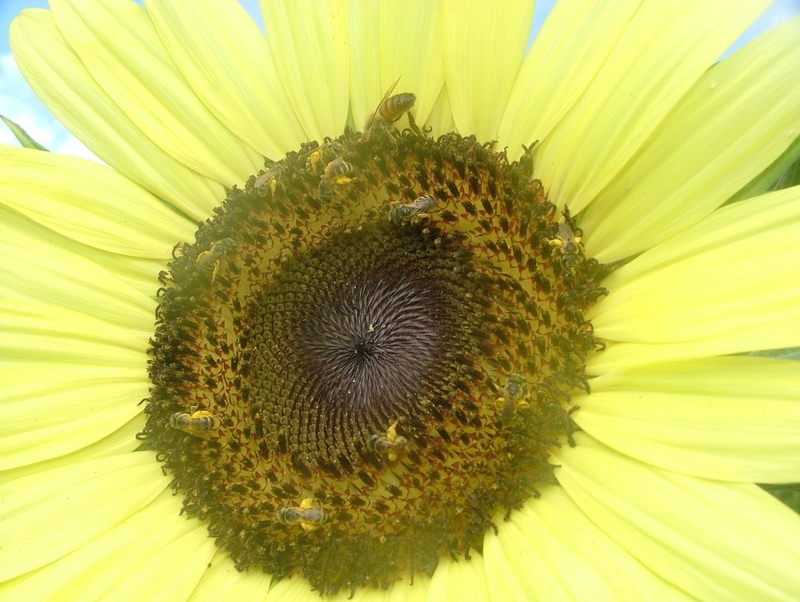 There are many species of tiny bees collectively called ~ solitary bees. Before we began keeping honey bees I never even noticed these cute little solitary bees. 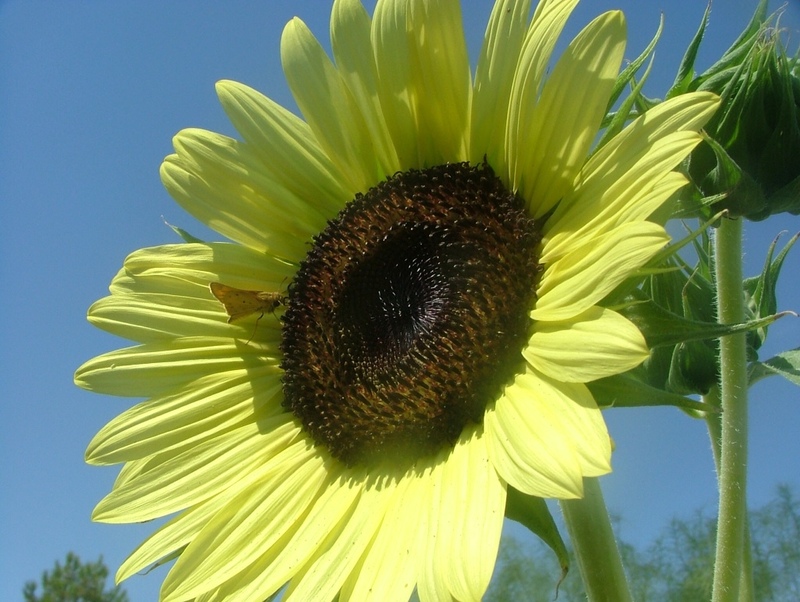 They can pollinate teeny tiny flowers, as well as, large sunflowers. 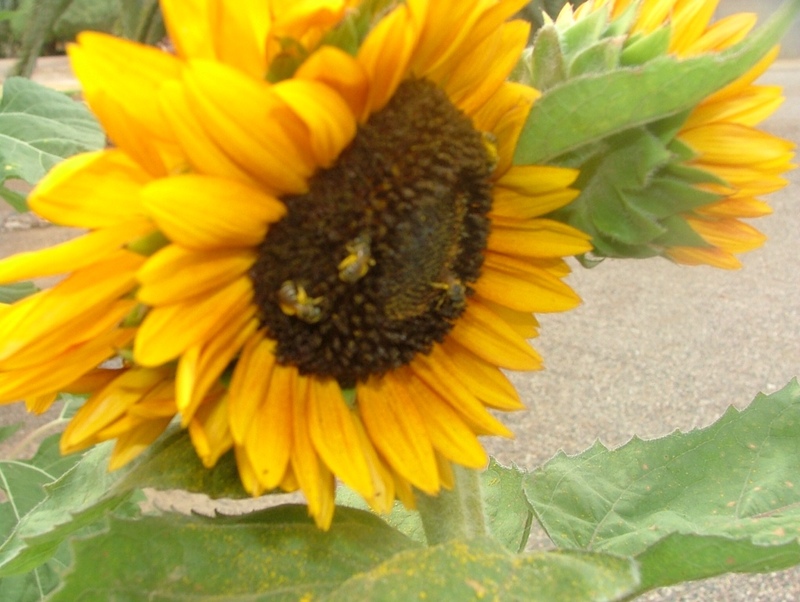 Notice the bright yellow pollen collected on their back legs. Cute little butterfly . . . Also a pollinator. Such simple flowers, yet so beautiful! Looks like every seed was well pollinated. 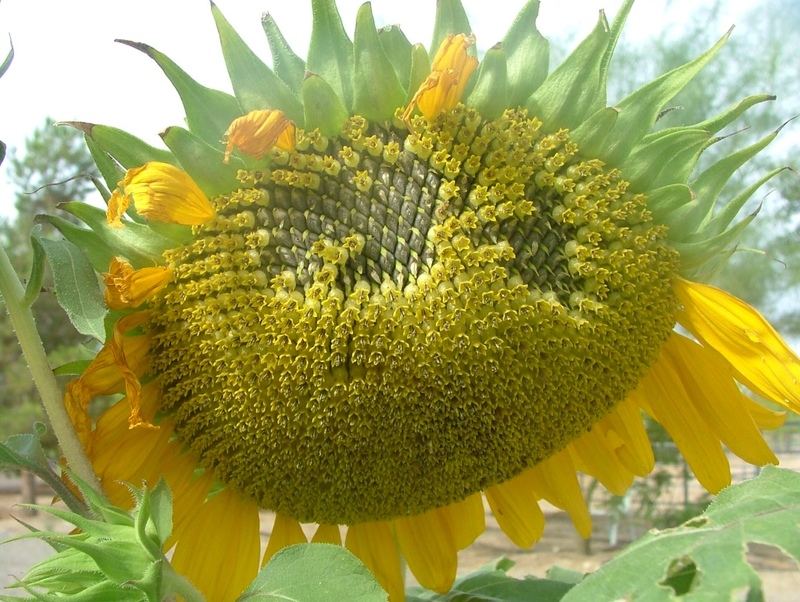 When sunflowers get to this point, I cover the sunflower head with an onion bag to keep the finches from stealing all the seed. The bag allows the individual seeds time to dry out. 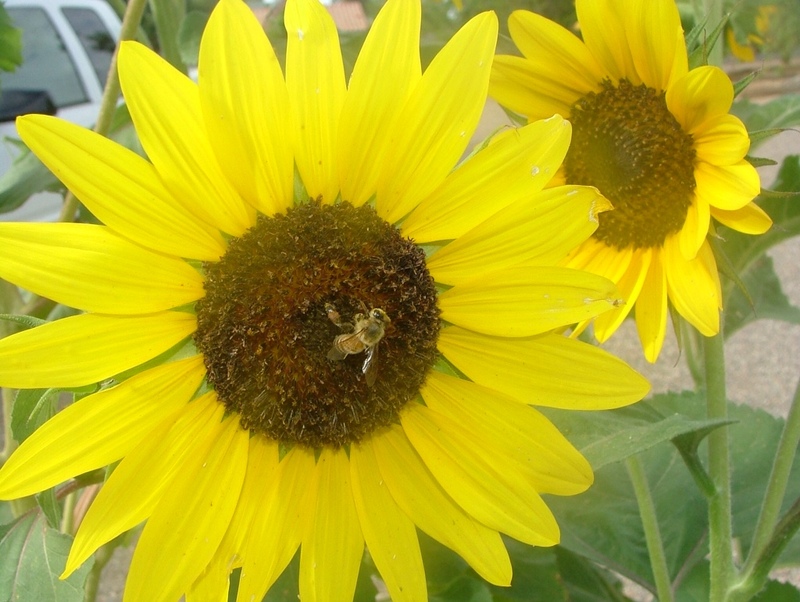 I grow sunflowers for their beauty, a source of summer nectar and pollen for our honey bees, seeds for our parrots, and the grandchildren love them! My favorite part is watching all the pollinators visiting these beautiful flowers. 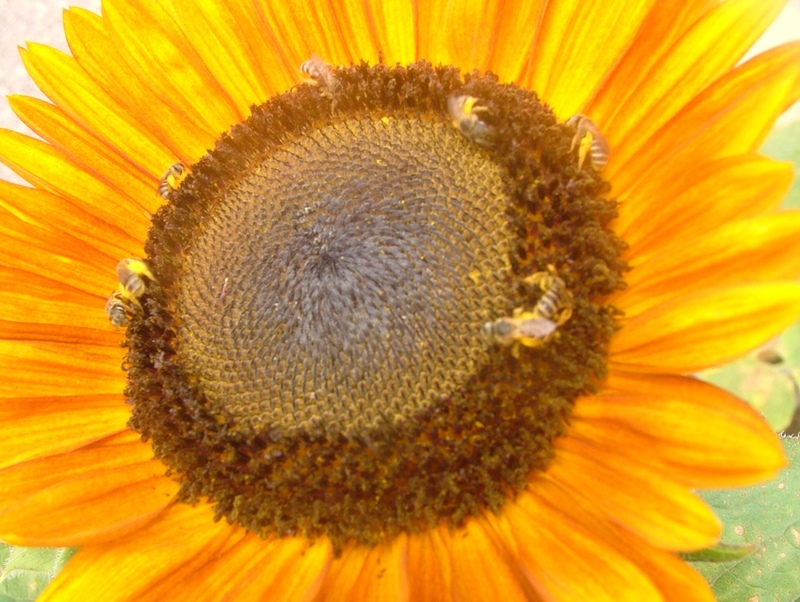 Their sunny faces make a perfect landing strip for a pollinators' party . . . Over at Julie's!!! 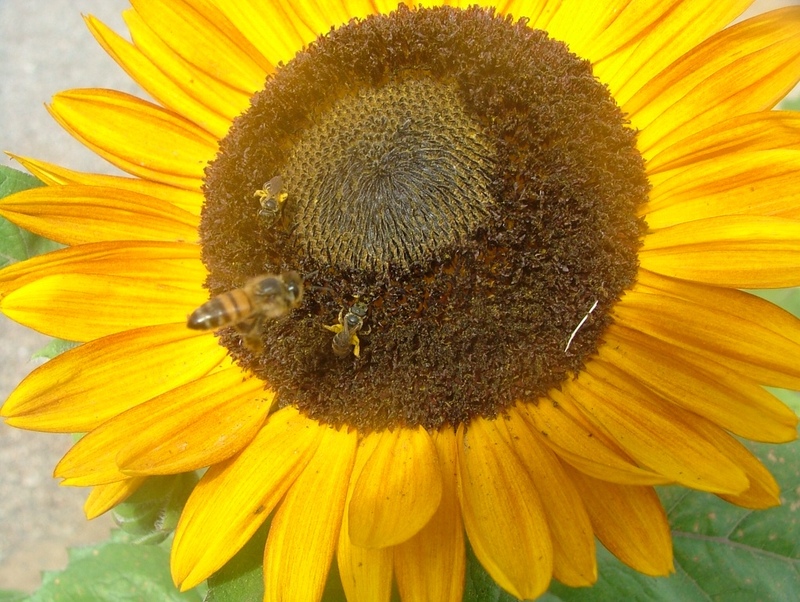 I counted 9 solitary and 1 honey bee on this flower, definitely a pollen party! I cover my sunflowers with woven onion bags to keep the finches from harvesting all my seeds. I have found that after the bees stop visiting, it's time to cover them. I don't let them dry out completely on the plant. I like to cut them off after a couple of weeks, trim off the outer green leaves from around the flower head. I even pull the back off the sunflower, and then let them complete their drying on the back porch table. It makes removing the dry seeds so much easier on my fingers and there is so much less dry and prickly mess to remove from the harvested seeds.